CarPlay —which will initially be available in new vehicles from Ferrari, Mercedes-Benz, and Volvo —seems to have resonated with consumers, who have clamored for aftermarket options since its unveiling earlier this month. Those calls will likely go unheeded, however, as representatives from two top-selling brands shot down reports that aftermarket CarPlay support was on the way. Kenwood marketing manager Scott Caswell told AppleInsider that "Apple CarPlay won't be in any of our 2014 product," before noting that many current devices already offer a subset of CarPlay features like Siri support and A/V playback. 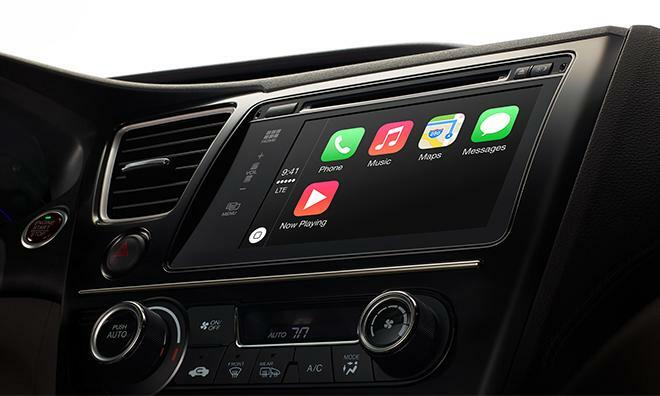 Caswell suggested that Apple may be reserving CarPlay as an OEM option for automakers, a market segmentation strategy that could make some sense. Such a strategy might allow marques such as Ford to tout CarPlay's deeper integration as an incentive to buy or lease a new vehicle, for instance, versus purchasing an aftermarket stereo system to upgrade an older model. Meanwhile, Pioneer appeared to distance itself from recent rumors that it was working on CarPlay support following a statement from a customer service representative. "The story was not an official statement by Pioneer and was taken out of context," Pioneer corporate communications executive Jaed Arzadon said via e-mail. Arzadon declined to provide further context. At press time, representatives from competing brands including Alpine, JVC, Audiovox, and Sony had not yet responded to requests for comment. It seems unlikely that any "Made for iPhone"-style strategy for CarPlay would not include the participation of Kenwood and Pioneer, however, so it appears that the only way for consumers to get their hands on CarPlay in the forseeable future is to visit a local Mercedes-Benz, Ferrari, or Volvo dealer.